Celebrating the life of George L. Olson, Jr.
Obituary for George L. Olson, Jr.
George L. Olson Jr., 86, born in Boston on Sept. 15, 1932, died Wed. Mar. 20, 2019 in Boston. He was the son of the late George L. Olson of Concord and Quincy, and Miriam Hamblin Olson of Braintree and Quincy. He was also pre-deceased by a brother Steven Wayne Olson of Pasadena, CA and Pembroke, MA. He is survived by a sister Drinda Lee Olson of Quincy and by his wife Napaporn “Dang” Sinsawat Olson, of Pichit and Chiang Mai, Thailand and Moultonborough, NH. He lived his pre-school years with his parents in Central America, Costa Rica, Honduras and Panama. He was schooled in North Quincy, Pasadena and was a 1951 graduate of North Quincy, MA High School. Joining the U.S. Navy after high school graduation, he served aboard the USS Charles S. Sperry (DD-697) in the Korean Conflict and European Occupation. Discharged in 1954, he matriculated to Boston University earning his BS/BA and MBA degrees. He worked in Boston at New England Life as Budget and Planning Manager until embarking on an international career as manager and consultant in Bangkok, Thailand, and several other Southeast Asia countries, including Indonesia, Laos, Cambodia, Malaysia, Philippines, and other regions in Iran, Egypt, Spain, China and Saudi Arabia. He held memberships in several international management associations and was Senior Advisor, for the Boston University Alumni Association, Thailand. An active hiker and climber, he was a member of Norwegian Mountain Club, Club Alpino Italiano, and Appalachian Mountain Club, climbing in Nepal, Norway, Malaysia, Sikkim and Philippines. A long time supporter of Red Cloud Indian School in Pine Ridge, SD, he and his wife Dang visited the Oglala Lakota Indian School and tribe there. Retiring with his wife Dang, a primary school principal, in 2006, to their home in Moultonborough, NH, they enjoyed the small town life there. They traveled to Oslo where his grandfather, Ole Olson, immigrated to Concord, MA. and also made many trips to Thailand where Dang’s family lives. George enjoyed summers in Concord, MA where Ole Olson farmed and managed the Ralph Waldo Emerson Estate. His aunt Cornelia “Connie” Olson was well known as owner of the Rose Gray Beauty Shop on Main Street on Concord’s Milldam. An interment service with military honors will be held on Friday, March 29th at 11 a.m. at the New Hampshire State Veterans Cemetery, 110 Daniel Webster Highway, Rte. 3, Boscawen, NH. In lieu of flowers, donations to the Red Cloud Indian School, 100 Missions Drive, Pine Ridge Reservation, SD 57770 which would aid the students, would be appreciated. 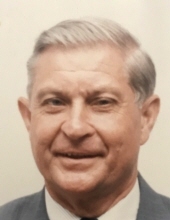 "Email Address" would like to share the life celebration of George L. Olson, Jr.. Click on the "link" to go to share a favorite memory or leave a condolence message for the family.